Choose one of three go-to bottles every time? Take a risk based solely on the label artwork or the bottle’s spot on the shelf? Option 1 is playing it safe. You know you’re going to end up with a bottle you enjoy, but you’re not leaving any room for variety or new taste profiles. Option 2, on the other hand, can work out great or be a disaster. You’re not going to stand there and Google every bottle that catches your eye, so you really are going in blind when choosing a new bottle on a whim. Wine subscription boxes and delivery services are here to change the way you drink wine at home. You’ll get to experience new varietals without as much of the risk as a blind grocery store buy—but with the added convenience of not having to leave your couch. See how 10 wine delivery services let you satisfy your inner sommelier at home. Winc creates and curates hundreds of wines to make wine simpler and more accessible to everyone. To start, you answer six questions about your taste preferences (creating your Palate Profile™), and then Winc recommends bottles they think you’ll like. You’ll get a box of four bottles delivered monthly. You can opt for only whites, only reds, or a mixture of both. Before confirming your box, you’ll see each of the wines selected and can remove/add to the box as you see fit. Wines start at $13/bottle. After each delivery, you rate the wines you try to better improve your recommendations. And, thanks to their satisfaction guarantee, you don’t have to pay for bottles you don’t like. The rating system is also great for choosing your next bottle, as you can read reviews by other Winc members. Bright Cellars was created by two MIT grads who developed the Bright Points algorithm, which scores each wine they carry based on 18 attributes and then matches them to your preferences. They curate wines from around the world for a one-of-a-kind experience for your taste buds. How it works: 1) take the quiz, answering seven questions about your taste preferences (the last question lets you choose reds only, whites only, or a mix of both), 2) view your matches (you can request a swap if you aren’t feeling one), and 3) receive your monthly box at $80/month. They’ll describe each wine by taste profile, notes, and food pairings—as well as telling you the year and origin of the wine—to help you get to know your potential matches. Palate Club (only available in California) is a wine program (with an app!) powered by data scientists and wine experts. The app is designed to help you discover why you like the wines you like—and to help you discover new ones. Try wines from around the world at discounted prices through their program. You can choose how often to receive boxes, what price points you prefer, whether to try new wines or reorder past favorites, and more. Created for the wine drinker who enjoys the best things in life, Wine Access is a wine club and online wine store that lets you try the best wines from across the globe. With a Wine Access membership, you enjoy a 6 bottle allocation for $150, 4 times per year with free shipping. You’ll also get 10 percent off every order from their shop. Choose from all reds, all whites, or a mixture of both. Your order is sent via climate-controlled shipping to ensure the pristine condition of every bottle from the winery to your doorstep. And, if a wine doesn’t meet your expectations, it’s on the house. Enjoy $30 off your first $130 purchase at Wine Access! Premium canned wine from the best grapes in California, delivered to you on a regular schedule—that’s the simplicity of Wine Society. They create beautifully balanced red, white, and rosé blends. Choose a variety pack or a box with the blend of your choosing. Each can is 500ml, with approximately 4 glasses’ worth of wine. 90+ Cellars offers a customizable, quarterly wine club for wine lovers across the country. Get 3, 6 or 12 bottles of wine delivered to your door four times per year, starting at just $50/quarter with free shipping. Members get to try red and white wines from California to Italy to New Zealand and beyond. Plus, in addition to each quarterly box, members enjoy 15% off most online store purchases and extra discounts on promotions and sales. Wine Awesomeness curates great wine from around the world each month, and then tells a story along with each box. With your monthly subscription, you’ll get the best value on a 3-bottle box or 6-bottle box of carefully chosen wines and free shipping always. What makes each box unique is the inclusion of a new issue of thebacklabel magazine—featuring tasting notes, recipe pairings, and more. 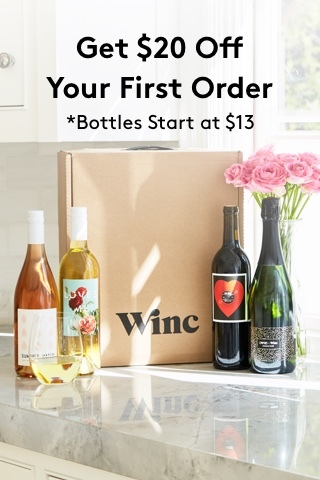 As a member, you can also wine by the bottle, starting at $16, with free shipping on every order. Vine Oh! offers three different subscription options. First, their Vine Oh! box is a quarterly wine box with more goodies than just wine. Each box contains two bottles of wine (red, white, or one of each) and 5–6 full-size products (like food, jewelry, coffee mugs, or beauty/skin care products). Their new monthly wine club lets you choose between 4 or 6 full-size wine bottles at $59.99 or $89,99, respectively. Choose all reds, all whites, a mixture of both, or sweet varieties. Revel Wine is a customizable wine club that offers an only-organic option in addition to their regular wine box. Choose the number of bottles in each shipment (3, 4, 6, or 12), your variety preferences (reds, whites, or both), and your shipping frequency (monthly, every 2 months, or every 3 months). Members enjoy special savings (15% or more) on each bottle of wine in the shop, in addition to free shipping on orders of 12 bottles or more. Plus, members get first dibs on new wines, exclusive access to promotions and complimentary tastings at our California wineries. Try Revel Wine club now! Vinebox is a quarterly wine club developed to help you expand your palate. Discover 9 game-changing wines, starting at $72/quarter. Each wine is exclusive and hand-picked from the best places on earth. Out of 11,000+ wines, only 1% actually make the cut—and these aren’t your average wines. They’re the best of the best. Offered at exclusive prices to you. Choose from all reds, all whites, or both. You’ll get 9 of each season’s best wines, by the glass, with free shipping. Discover new regions, new wine styles, and most importantly what you like and dislike. Find a new favorite in your box? Get member-exclusive savings on the full bottle.